Your ceiling space should never be ignored when you are decorating your house or office. This is because ceiling is one of the most important fixtures in your house that every visitor who come in your house will see. Your home is a part of your life, the reason why it is important to keep your house organized and modern. If you would like to make your ceiling more beautiful and attractive, then you can consider fixing LED smoky downlights on the ceiling. LED smoky downlights are beautiful and yet have low energy consumption and an extremely long lifespan. You can always make your ceiling a focal point by fixing decorative downlights. 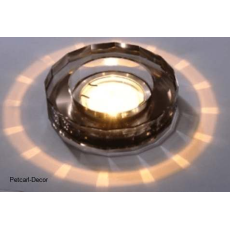 If you are looking for a reliable downlights selling shop, you can always visit Petcarl décor shop to buy classy, beautiful and trendy downlights that will give your home a new look. Our ceiling downlights are original and are made of high quality material.